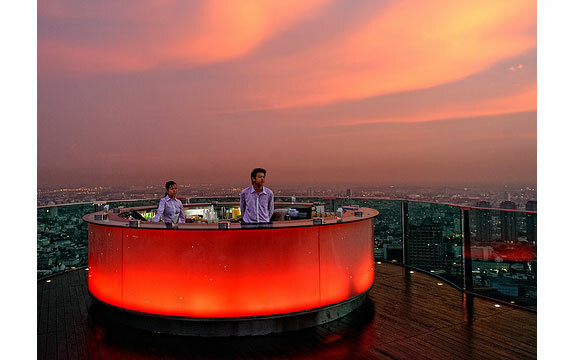 Bangkok’s glamour set has no fear of heights. 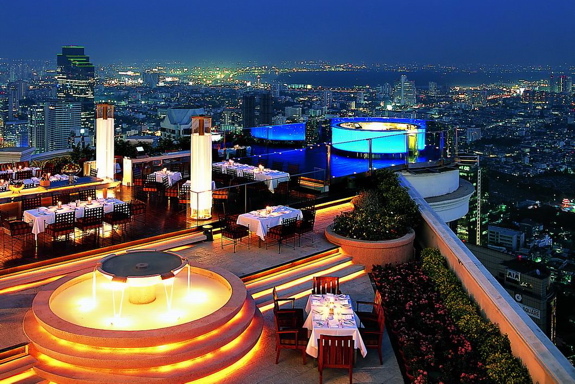 Two of the Thailand capital’s most chic dining and drinking spots are well above the city: the Vertigo Grill & Moon Bar and the Sirocco. 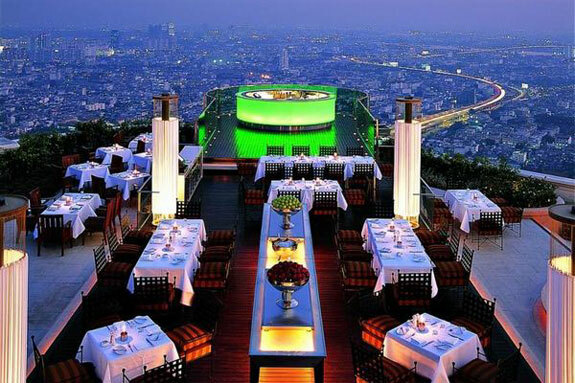 The whitewashed Vertigo occupies a former helicopter landing pad on the 61st floor of the Banyan Tree Hotel. 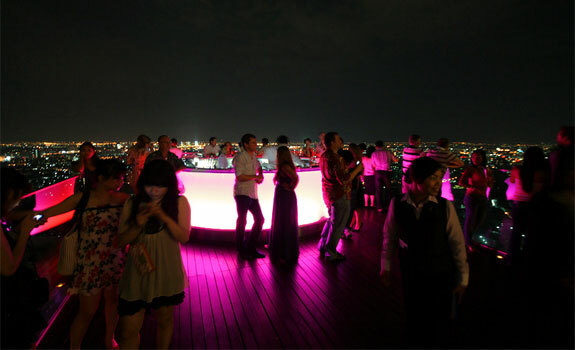 Its Moon Bar, at the far end of the rooftop, opens at 5pm. The Vertigo Grill opens at 6:30pm and serves a mix of Western and Asian-Fusion cuisine. 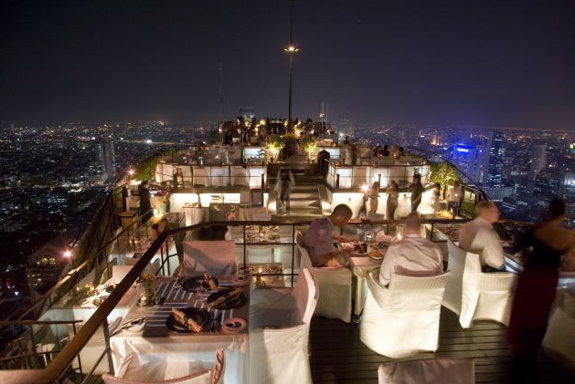 The Sirocco is the highest open air restaurant in the world. 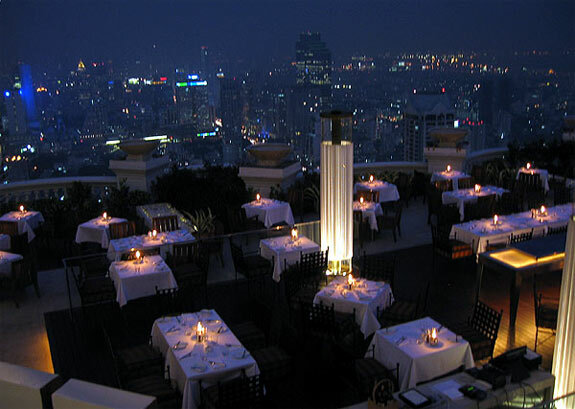 It sits atop the 65-story high State Tower, across Charoen Krung Road from the river. The State Tower is one of the fixtures of the Bangkok skyline—it is a the tallest building in Thailand and is easily recognizable from the art deco dome at the top. Indeed, the Sirocco restaurant area wraps around the dome. Both establishments draw a chic cocktail-centric crowd. 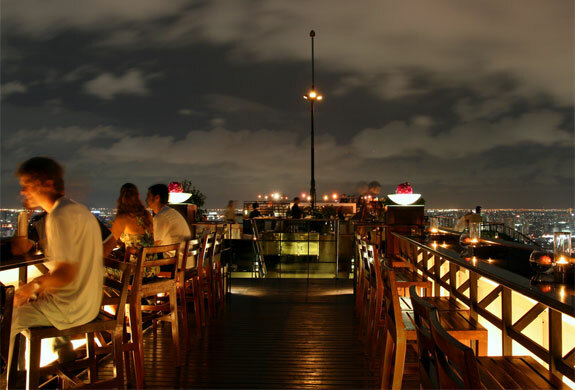 Of the two choices, Sirocco is the larger and has the more energetic scene; its restaurant also has the better food. 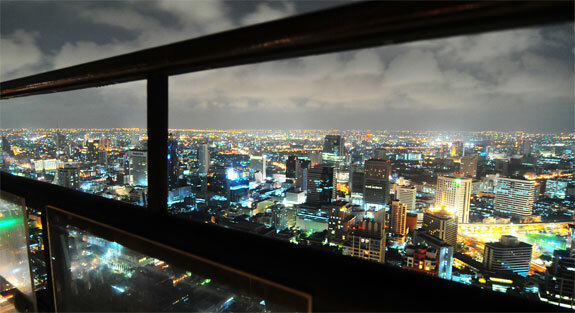 Vertigo is more intimate and so feels more on-top-of-the-world. Whichever you go to, show up early to claim your seat by the ledge and to give time for the notoriously slow service to get you your drink in time for the sunset. Count me in. Let’s go tomorrow.